After retirement I moved to the beautiful South West Mountains of Virginia, however my life changed after a devastating car accident. My doctor recommended a spa for pain relief and a natural muscle relaxant. The hot water therapy in the spa was wonderful and helped me manage my pain. But I hated having to test the water so often and having to remember when to add another chemical. My skin reacted to the harsh chemicals, but I continued using the spa because I didn’t realize I had any other choice. I was so sold on the wonderful affects of hot water therapy from soaking in my hot tub, that I started selling them in a local spa store. During the next five years, I was introduced to The Natural Hot Tub Company’s Water Treatment & Conditioner. I decided to try it, and it was incredible! 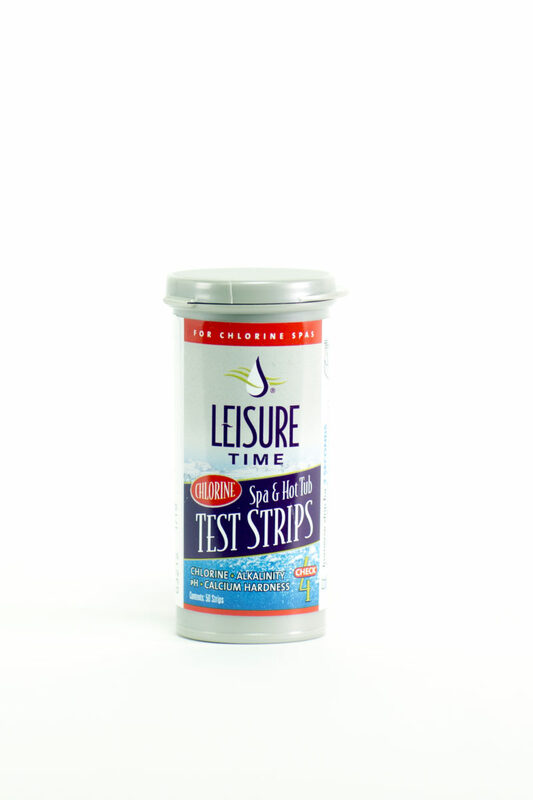 I was able to use my spa daily for water therapy without testing or adding anything to the water. I didn’t have to take a shower afterwards, because there was no chemical smell. My skin was soft and I stopped having rashes. We started selling the Water Treatment at the store where I worked and the customers who tried it were as amazed as I at the results and ease of use. I also had the great fortune of having hundreds of customers using this water treatment as well, and the privilege of speaking to the doctor who invented it sometimes on a weekly basis. He was a wealth of knowledge regarding the product which I was able to pass on this information to my customers. I learned a lot about spas and spa treatment programs during this time and this is by far the best product I have seen or used That’s why I became a distributor and decided to start this website, so I could share this product with everyone. 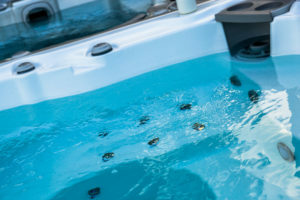 One of the many things I learned while selling spas and hot tubs, is you probably will have a hard time finding this product in many retail outlets. The reason is simple! Most retailers believe this product will negatively affect their chemical sales. That is somewhat correct. However, the No. 1 reason people don’t buy spas is maintenance. While it is true that a spa actually is virtually maintenance free, the traditional spa water treatment is usually an everyday procedure. First, checking the water for chlorine or bromine levels, then pH and alkalinity, then adding some chemical every other day at least and adding another chemical for metal content and/or a clarifier. Most all of these products are one form of chemical or another. Also when you consider most people do not drain their spas but every six months to a year, this chemical build-up is enormous. Then we drain our spas into our ground water system which is polluting our Environment. 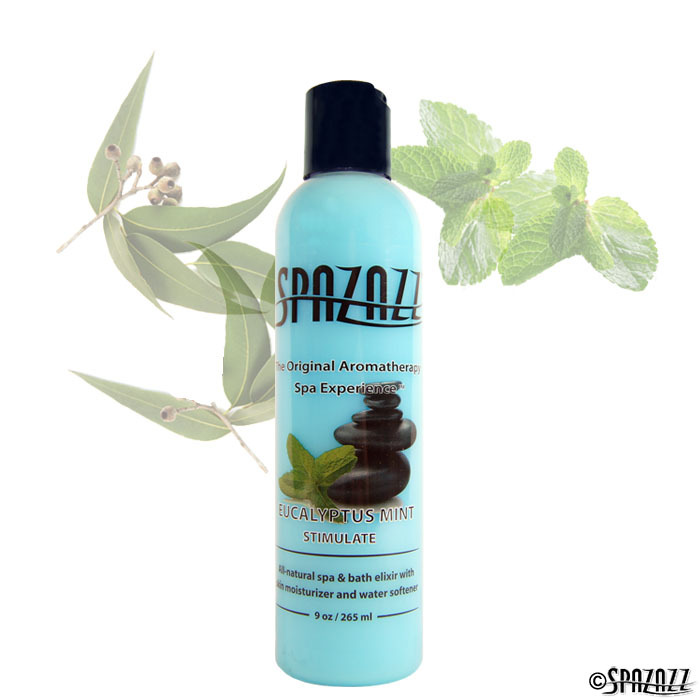 With this Water Treatment & Conditioner, you add one bottle every three months and that’s it. I personally add an all-natural clarifier, Sea-Klear®, once per week just as I get out of my tub. Clean the filter once per week which you should do, no matter what you use as a water treatment. I also use a small amount (1/2 tsp) of Spa Chlorine Granules when necessary and leave my cover off to ‘gas’ it out. When I did get an opportunity to talk with someone who either didn’t want the maintenance or chemicals and was able to explain that there was an alternative available to them, usually they purchased a spa. They were grateful they had the information about a much simpler method for treating their spa water without all the chemicals and maintenance. 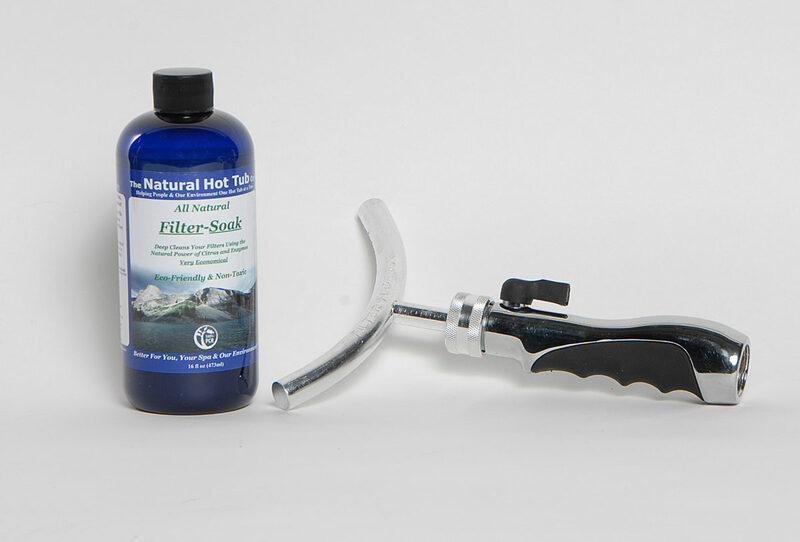 There is no real formula for knowing just how many people would purchase a spa if they knew about The Natural Hot Tub Company’s Water Treatment & Conditioner! Hot water therapy is one of the best pain and stress relievers out there. I personally believe it is one of the best kept secrets for those who could really use hydrotherapy. There is comfort in being in a spa and enjoying all the benefits without the itching, smell and knowledge that you’re soaking in a chemical soup.